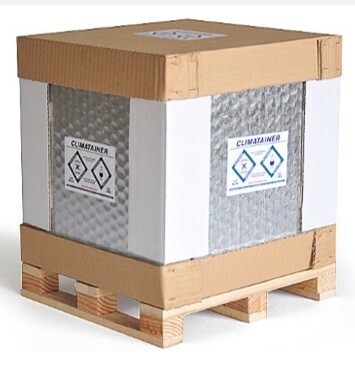 CLIMAJET of CLIMATAINER is an isothermal box which guarantees the thermal protection of the goods during their transport. 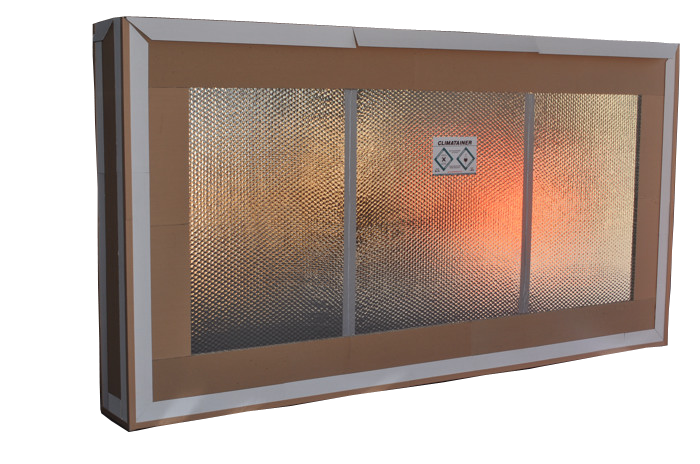 Constituted by FLH (Foil Laminated Honeycomb) panels 60 mm or 30 mm thickness. Its wood slat treated integrated standard NIMP15 will facilitate its transport. Several dimensions available (cf with the back). Mechanical resistance limiting the shocks at the time of the transport. 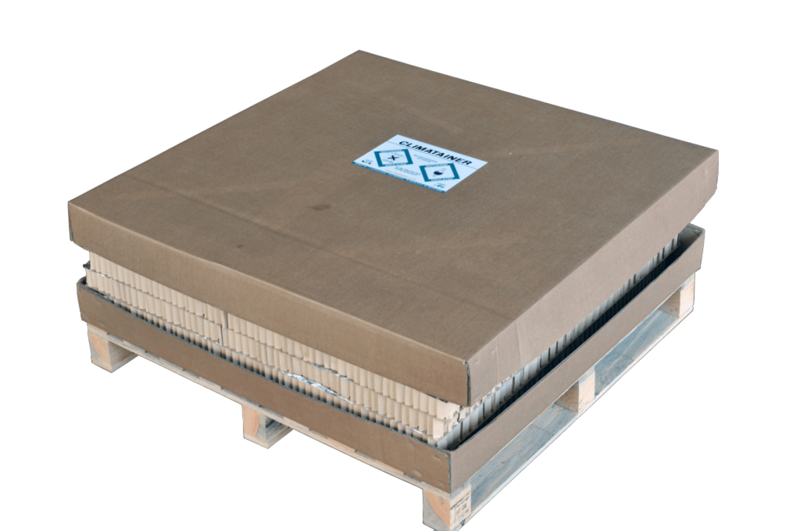 Delivered folded, the CLIMAJET is storable in great quantity on little surface. A sufficient overpack with itself. No the purchase in additional products to store. Easy to go up, the time and the labour invested in isothermal protection are reduced. Integrable with an automated chain of conditioning, our isothermal equipment is with European external dimensions. Constituted by materials completely which can be recycled in a basic circuit of destruction, the durable development policy of the company will be low-fat investments time and infrastructures. From the data of transport communicated by the customer (place and temperature of the loading, destination, nature of the product, time of the year, zones crossed,…) our software of digital simulation elaborate in collaboration with the researchers of CNRS will provide you the evolution of the temperature interior of the CLIMAJET. A study of custom-tailored CLIMAJET can also be realized.